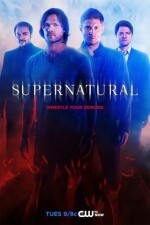 Can’t wait for the Salute to Supernatural convention in Honolulu? Neither can we. November 2017 may seem like a long way off, but not if you’re planning the vacation of a lifetime. Once you’ve got your tickets and your hotel, you’ll need to figure out how you’re going to spend your time on Oʻahu. That’s right, you’re going on a Hawaiian vacation! If you’re like Dean Winchester and enjoy sunsets, long walks on the beach, and frisky women, then you’re destined for a good time. Our Honolulu Supernatural convention series provides tips for those planning to travel to Hawaiʻi for #SPNHon. The first part of this series described 5 things you need to know before coming to Hawaii. Other parts of the series discuss food/entertainment options and Hawaiʻi travel tips. Here we’ll explore activities you can do on Oʻahu when you’re not at the Supernatural convention. Whether you prefer traditional sun and sea vacation ideas or something slightly more ghostly, there’s something for everyone in Hawaiʻi. You’re coming to Honolulu for a Supernatural convention, so why not check out some spooky sites on Oʻahu? Hawaiʻi is full of tales of the supernatural, many of which go back to ancient Hawaiian times. There are many sites reported to be haunted in Hawaiʻi, including the convention hotel. At the Hilton Hawaiian Village there have been reports of a woman in a red dress walking along the hallways and beachfront. Though some believe this figure is the spirit of a young woman who was murdered in a tower room, others believe her to be the volcano goddess Pele. Supernatural legends of Hawaiʻi emerge out of a rich culture. Hawaiian stories include the frightening Night Marchers, shapeshifters known as Kupua, the goddess Pele, and the little people known as the Menehune. Japanese folklore has also had an influence in Hawaiʻi with tales of a Kasha haunting a local Kaimukī house, a faceless woman described as a mujina at the old Waialae drive-in theater, and an obake shapeshifter covered in moss known as the Green Lady of Wahiawa. If you want to discover haunted sites or hear stories of Hawaiʻi’s legends, check out Mysteries of Hawaiʻi. Lopaka Kapanui, a native Hawaiian storyteller who learned traditional legends and ghost stories of Hawaiʻi from his kūpuna (elders), conducts tours of Waikīkī, Honolulu, and other locations. Lopaka is a fellow Supernatural fan who has been watching the series since the first season. If you appreciate going to graveyards for purposes other than salting bones, Honolulu has many historic cemeteries to visit. These sites can be peaceful and beautiful places to visit, as well as providing a glimpse into Hawaiʻi’s history and culture. The most famous of these is the National Memorial Cemetery of the Pacific, which is referred to as Punchbowl due to its crater location. This beautiful site memorializes those who have served in the US military and their allies. There are monuments to wars of the Pacific as well as a series of memorials leading to an overlook of Honolulu. There are even some Civil War veterans buried in the cemetery—just don’t pick up any copper pennies you find near the tombs. Oʻahu Cemetery in Nuʻuanu is the oldest public cemetery on Oʻahu. Previous to its development in 1844, gravesites in Hawaiʻi were private, either on a family site or associated with a particular church. Honolulu Memorial Park, on the eastern side of Oʻahu cemetery, is a Japanese cemetery that includes a pagoda, temple, and gardens in the Kyoto Gardens section of the site. The Mōʻiliʻili Japanese Cemetery, with just over 2,000 monuments for the 10,000 souls in this small parcel of land, has recently undergone a beautification project. The Mānoa Chinese Cemetery is the oldest and largest Chinese cemetery in the Hawaiian Islands, and is known for having supernatural activity. There’s so much to do in O‘ahu, everyone can find something they love. You can spend your whole trip swimming, shopping, and walking around Waikīkī and you’ll have a blast. You can take a surf lesson, go on a catamaran cruise, hike up Diamond Head, enjoy the Waikīkī Aquarium, and check out the Honolulu Zoo without even leaving Waikīkī. If you are looking to spend some time outside of Waikīkī, you’ll want to come up with a plan. Popular visitor destinations include Hanauma Bay, the Polynesian Cultural Center, Sea Life Park, and the USS Arizona Memorial at Pearl Harbor. Foodies can enjoy the rich variety of our local cuisine by joining a tour with Hawai‘i Food Tours or Aloha Food Tours. To learn more about our local trees and flowers, visit beautiful Foster Botanical Gardens, which is right downtown. There are a lot of hiking trails throughout O‘ahu. A moderate hike that’s close to Waikīkī is the Mānoa Falls Trail. If you prefer an ocean view, on the east end of O‘ahu there’s a paved trail that leads to the Makapu‘u lighthouse. Don’t hike alone, and let someone else know where you plan to hike. If you’re looking to join a hike, the Sierra Club welcomes everyone on their scheduled group hikes. Many like to pay a visit to Kailua town to poke around the ever-expanding shops and check out the beautiful Kailua Beach Park and Lanikai Beach. From there you can rent a kayak and paddle out to the Mokulua Islands. If you’re looking for a more isolated beach on the windward side, check out Waimanalo Bay Beach Park or Mālaekahana. Kailua’s Kawainui Marsh has a long walkway through its wetlands, providing an opportunity for bird-watching. The marsh is also said to be home of moʻo, a type of kupua in the form of a giant lizard or dragon who can take on the appearance of a beautiful woman. On the eastern edge of the marsh is Ulupō Heiau, an ancient Hawaiian temple associated with the legend of the menehune. Other windward-side attractions include Kualoa Ranch, Byodo-In Temple, and Ho‘omaluhia Botanical Gardens. If traveling on the Pāli Highway (Route 61) be sure to stop at the Nuʻuanu Pāli lookout for a stunning view of the Koʻolau Mountains. Just be aware that high winds can carry streams of bees to this historic lookout. It’s not just bees you should worry about. A moʻo is said to linger around the pass, taking the form of a beautiful woman to lure travelers off the steep cliffs. Oh, and don’t carry any pork over the Pāli, especially at night, because it’s considered bad luck! The Hawaiian volcano goddess Pele is said to prevent the passage of pork over the Pāli in order to keep the kupua Kamapua‘a, a half-man-half-pig, from trespassing on her side of the island. We’re hoping to eventually see a Pele-inspired episode of Supernatural that opens with an unsuspecting victim traveling across the island with a ham sandwich. Of course, there’s O‘ahu’s famous North Shore to visit as well. On weekends the North Shore can get crowded and the traffic slows when there are big waves, but the breathtaking beauty of the beaches is worth the trip. Haleiwa town has lots of shops and restaurants, including the beloved Matsumoto Shave Ice, to visit on your way to Hawai‘i’s most famous beaches. When the winter waves hit, don’t expect to go swimming at the sites known for their high surf. But it’s the big waves that people come for, and November is the ideal time to watch the massive waves and check out some surfing. The Vans Triple Crown of Surfing will be on the North Shore from mid-November through December. If you’re flexible in your schedule, or just lucky with your timing, you can sit on the beach and watch the heats. The North Shore provides opportunities to do more than watch surfing. Kulima Cove and Kawela Bay near Turtle Bay Resort are fairly calm all year, allowing for swimming and snorkeling. Laniakea Beach is known as “turtle beach” because of the giant green sea turtles that like to sunbathe on shore. If you decide to watch the surfers at legendary Waimea Bay Beach Park, consider a visit to Waimea Valley across the street to see the world-class botanical gardens. Overlooking Waimea Bay sits Puʻu o Mahuka Heiau State Monument, a Hawaiian temple of historical and cultural significance. If you want to understand more about Hawaiian history and culture during your stay, visit the Bishop Museum. The museum was established in 1889 to preserve the natural and cultural history of Hawai‘i. To take in the history of Hawaiʻi’s sugar plantations, visit Hawaiʻi’s Plantation Village in Waipahu. This outdoor history museum provides a rich cultural history of the various ethnic groups that came to Hawaiʻi to work the land, plus itʻs said to be haunted. To learn about the overthrow of the Hawaiian kingdom in 1893 and the imprisonment of Hawai‘i’s beloved Queen Lili‘uokalani, take a tour of ʻIolani Palace in downtown Honolulu. You will see our modern Hawaiʻi State Capitol standing alongside this beautiful old palace. On the other side of ‘Iolani Palace, on King Street, you can also see the statue of King Kamehemeha I who established the kingdom of Hawai‘i in 1810. Further down King Street you will find Kawaiahaʻo Church and Misson Houses Museum where you can see some of the oldest houses in the islands and learn about the lives of Protestant missionaries in Hawaiʻi. Just up the Pali Highway from downtown you can visit The Queen Emma Summer Palace to see how this royal family lived, as well as learn about other Hawaiian aliʻi (hereditary line of rulers). Just across Richards Street from the State Capitol is the Hawaii State Foundation on Culture and the Arts, a wonderful free museum that features the artwork of Hawai‘i artists and Hawai‘i-based works of art. Nearby, the Honolulu Museum of Art features local artists at its downtown First Hawaiian Bank exhibition space. If you stay for Thanksgiving, many hotels and restaurants offer buffets or prix fixe dining, but make a reservation early. If you want to get your exercise in before dinner, join the Thanksgiving Day Turkey Trot at Kapiʻolani Park. Instead of watching football the day after Thanksgiving, you can enjoy the Waikīkī Holiday Parade that honors survivors of Pearl Harbor. The parade has thousands of marchers, including local and mainland marching bands, Pearl Harbor survivors, military units, local officials, dignitaries, and entertainers. No one does parades like Waikīkī—it’s kind of their thing. Many of the resort hotels put up great holiday displays starting Thanksgiving weekend. Our favorite is the amazingly elaborate Gingerbread Village at the Sheraton Princess Kaiulani. The Sheraton Waikiki creates holiday-themed sand sculptures to decorate their lobby. The Royal Hawaiian Center hosts a collection of events and appearances to kick off the holiday season. Being around for the holidays also means getting to enjoy listening to “Mele Kalikimaka,” the Hawaiian Christmas song, as well as Hawaiian versions of traditional Christmas songs. If you’re still in O‘ahu the first week of December, be sure to go downtown to check out Honolulu City Lights, where the city is decked out in lights and festive displays. This annual holiday celebration is a favorite among locals. Opening night is the first Saturday in December, which includes a tree lighting ceremony at Honolulu Hale and the always popular Electric Light Parade. Keiki (children) love this fun family-friendly event. To get more information about conventions from other fans, check out the Salute to Supernatural public Facebook group or request to join the closed group Salute to Supernatural Hawaiʻi. Use the tags #HonCon and #SPNHon to connect with the #SPNOhana. That’s right, ʻohana means family. In the first part of this series, “5 Things You Need to Know Before Coming to Hawaii,” we went over the basics to plan your trip to Hawaiʻi. “Eat, Drink, and Make Merry” covers island shopping, food, and entertainment. The final part of the series explores Hawaiian culture and provides some general travel tips for visitors to Hawaiʻi. Feel free to share your thoughts about fun activities and places to see on Oʻahu for fellow Supernatural fans in the comments below. If you want to stay tuned for the rest of this series, articles about Supernatural and other spooky shows, and our Monster posts, subscribe or follow us on Facebook, Twitter, Tumblr, Instagram and Google+.